If you have a young child who needs oral surgery, you may be worried not only about the surgery itself, but about the sedation, as well. To put your mind at ease, we’ll discuss what dental sedation is, what types there are, and what to expect when your child is sedated. Sedation is when a patient is given medicine to help them relax during a procedure. There are a number of different kinds of sedatives, but we’ll discuss the ones we offer at our office. To give your child nitrous oxide, or laughing gas, we’ll place a mask over your child’s mouth and ask them to inhale a mixture of oxygen and nitrous oxide. This mild calming agent will allow your child to remain awake, but they will feel relaxed and even a little silly. Nitrous oxide wears after quickly after the procedure so your child will immediately be back to their normal self. This sedative is administered through a pill that your child takes before the appointment. Oral conscious sedation keeps your child conscious but sleepy throughout the procedure. They may still be able to talk, though they probably won’t remember any of the procedure. This is great for children that have more intense anxiety or fear related to being at the dentist. This final type of sedation is most often used for when your child will undergo a complex dental procedure, such as oral surgery. Your child is put into a deep, restful sleep and will not be awake throughout the entire procedure. What Can I Expect Before, During & After? 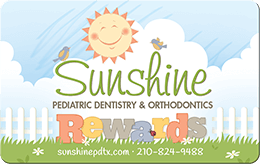 At Sunshine Pediatric Dentistry, we follow the standards for safely administering sedation to children set by the American Academy of Pediatric Dentistry, the American Dental Association, and the American Academy of Pediatrics. We’ll explain things you need to be aware of before your child undergoes any type of sedation (such as dietary considerations) and discuss how the sedation will work during the procedure. Rest assured that we’ll closely monitor your child’s safety and comfort throughout the entire process. For children receiving general anesthesia, we specifically note their blood pressure, temperature, heart rate, and blood oxygen level. Afterward, we’ll provide detailed instructions so your child’s recovery is as smooth as possible. 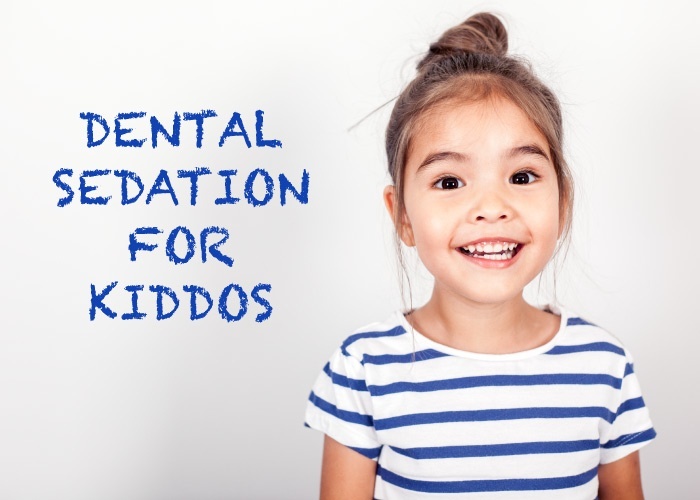 If you have any other questions about sedation during your child's oral surgery, give us a call!